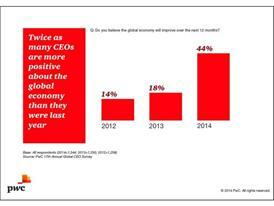 DAVOS, SWITZERLAND – 21st Jan 2014 – Twice as many CEOs around the world as last year believe the global economy will improve in the next 12 months, and 39% say they are 'very confident' their company's revenues will grow in 2014, according to PwC's 17th Annual Global CEO Survey. The number of CEOs who see improvement in the global economy over the next 12 months leapt to 44%, up from only 18% last year. And just 7% predict the global economy will decline, sharply down from 28% in 2013. 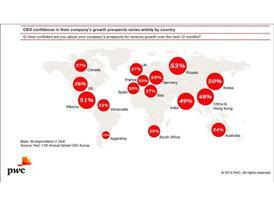 For their own companies, 39% of CEOs say they are 'very confident' of revenue growth prospects for the next 12 months. That's up from 36% last year. 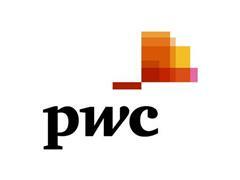 Confidence in revenue growth reached a low of 21% in 2009. 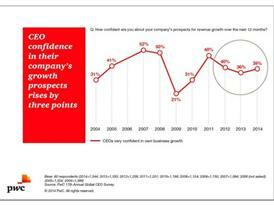 As CEOs' viewpoint on the economy slants upward, their major concerns have also changed. 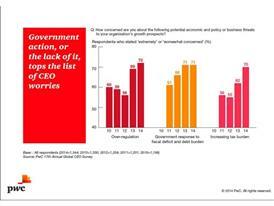 Government action, or the lack of it, tops the list of CEO worries. The level of concern about over-regulation at 72% and fiscal deficits at 71% are as high as they have ever been. Countries where CEOs are particularly worried about over regulation include France 88%, Australia 85%, India 82% and Germany 77% . In the US it is fiscal deficits that have CEOs most worried with 92% CEOs expressing concern, followed by Argentina at 90% and France at 84%.